United Way of Central Missouri fights for the health, education, financial stability and basic needs of every person in central Missouri. The organization started as a part-time committee of the now Jefferson City Area Chamber of Commerce in 1925. The organization split from the Chamber and became known as the Jefferson City Community Chest in the late 1920's. Nationally, the Community Chest had its beginnings in the late 1880’s when Denver businesses expressed exasperation at the difficulty in deciding which charities and agencies to support. 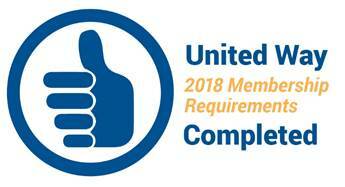 Community Chest groups around the nation solved that problem by holding single campaigns for groups of local agencies – not much different from how the United Way operates its fundraising today. 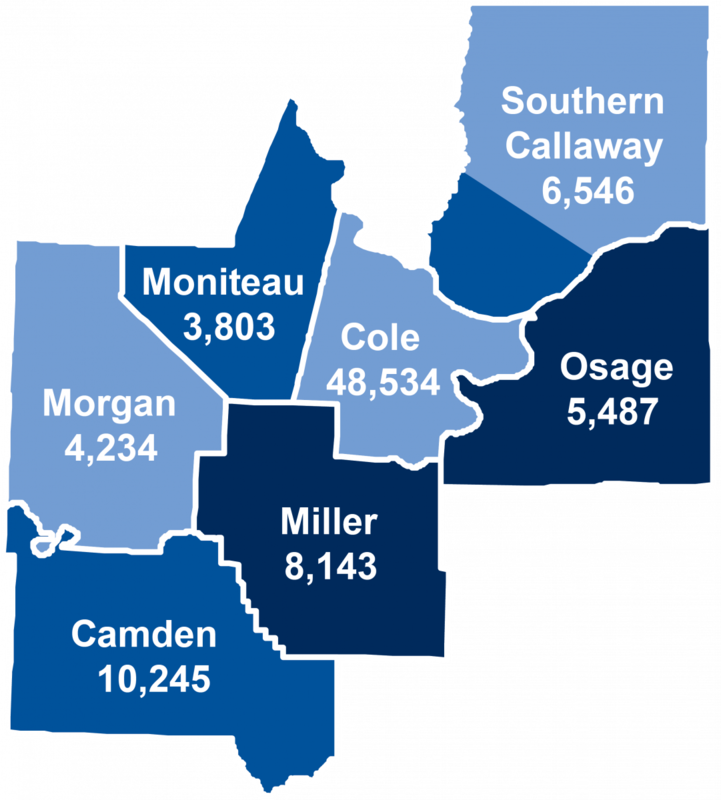 United Way of Central Missouri serves Camden, Cole, Miller, Moniteau, Morgan, Osage, and southern Callaway Counties. Number of people served in 2017. 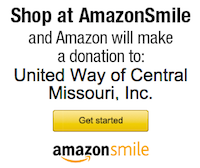 The United Way of Central Missouri is a local, volunteer-driven organization that improves lives by mobilizing the caring power of our community. The United Way of Central Missouri will be the leader in bringing partners and resources together to address priority needs and provide solutions that strengthen our community. We resolve to maintain the highest standards of personal and organizational honesty in all our activities. We are responsive to our stakeholders, at all levels, and act as good stewards of their investments of time and resources. We are compelled to advocate for positive social change in the communities we serve. We spearhead efforts to build a better life for all and create a stronger Central Missouri. We join with individuals, groups and businesses in our communities to work together toward common goals. We involve and unite the local community, knowing that respect, diversity and inclusiveness make us stronger. We are devoted to serving individuals and families in our communities in the most efficient and innovative manner. We strive to deliver relevant services and quality outcomes through thoughtful, deliberate actions.